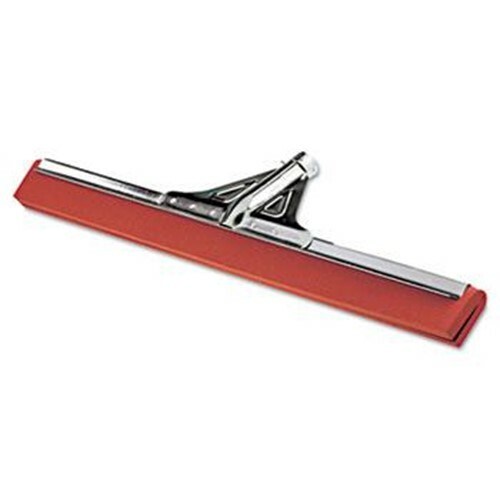 Removes water easily from uneven floor surfaces, such as grouted tile, or non slip and broadcast grid floors with 2in. red neoprene foam rubber blades. Reinforced handle socket for heavy dirt application. Sturdy 20 gauge steel frame, with socket clamp or installed ACME insert.